To Build up High-performance, High-Fidelity application for Android and iOS. 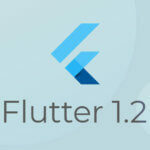 Flutter an open source development framework created by Google is used from a single codebase. The aim behind the use of Flutter is that enable developers who can deliver high-performance apps on different platforms. Now days Flutter is marginally improved technology with stripdown. Flutter is an easily scalable framework with different customizable features and also it is different from React native in many other ways. Flutter allows a user to build beautiful native apps on Android and iOS from a single codebase. Flutter Development Companies offers next-generation app development services that use google’s revolutionary framework, Flutter. With this unmatched and highly reliable mobile UI framework gives permission to craft high-quality native interfaces on cross-platform app development in just 120FPS record time. With our veteran team of flutter developers who are experienced in developing functionally rich and beautiful applications. The key advantages of Flutter mobile app development are that it makes the development process fast and reduces the overall development cost and not just cost but ease developers in cross-platform app development. With a complete rich widget, Tools, and frameworks, Flutter allows developers to create the most stunning applications for iOS and Android platform. Being a Flutter app development company, we build server-side mobile APIs which help user’s apps to run better with the benefits of quick and easy coding, Fast experience for users, and single coding based. The other advantages of flutter app development are user can build their own widget as its widget library comes with a huge range of options that can be customized effortlessly and build a responsive mobile app that attracts the client’s targeted audience. The aim of Google is to designed flutter in a way that it became easy to adopt for developers so that the development process can become faster and easier. Flutter SDK provides a unique and expensive UI, Attractive visualization with cross-platform native such as widget library built of material design for Android app and Cupertino for iPhone app. 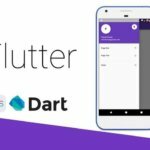 One more thing that Google’s flutter framework is based on a language known as Dart that offers native performance for multiple platforms, transitions that can load at the speed of 60 FPS and smooth animations. These all things make dart individually more perspective to implementing Flutter. The best part of the Flutter app development process is that single coding base which means the developers no longer need to produce multiple codes for patent platforms as it offers single code for both Android and iOS. 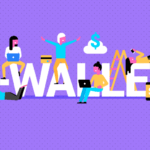 With this newly launched technology can serve end users with a faster and smooth experience that can lead to more exposure and acknowledgment. The services we offer for Flutter android app development and Flutter iPhone app development are Expressive and beautiful UIs, Native Performance, Fast development and many more. With our dedicated Flutter developers who helped in different size and type of businesses by developing user-friendly and engaging mobile applications which the professionals can do the same for users. With Flutter’s built-in beautiful Material design and iOS-flavor widgets, smooth natural scrolling, platform awareness, and rich motion APIs can delight user experience. For both iPhone and android Flutter’s widgets combine all critical platform differences such as scrolling, navigation, icons and fonts that provide full native performance. A Flutter’s hot reload helps user for a quick and easy experiment, Add features, Build UIs and Fixing bugs faster with sub-second reload time experience and without losing state on simulators, Emulators, Hardware for iOS and Android. With our unique Flutter team, we build cross-platform apps that can easily run on different devices and with widget rich applications. Flutter for Mac offers some of the features such as supported plugins like url_launcher, google_sign_in, and shared_preferences. 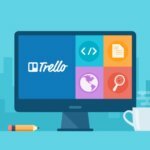 Provide an easy way to publish application and push updates to end users with more functionality like a mouse wheel, escape key and copy & paste. To build amazing and rich-featured Android flutter apps and APIs hire our flutter developers. Flutter app development services are getting more better ROI and faster with turnaround times. Hire Flutter developers from us who are well trained and expert in delivering innovative and best results when it comes to Flutter Mobile app development. By being One of the top Flutter app development company, we always make sure that our client gets the best services which are customized with innovation according to the client’s requirements. You can hire dedicated flutter developers on an hourly, dedicated monthly basis or full time form us for the fast development of Android, iPhone, mac & windows mobile applications. Our dedicated team of flutter developer can help with on-time small projects and also mid-large businesses which are belonging from a wide range of industry support. With Flutter, the development processes became easier and faster which has gained some major competitive advantages in comparison with other technologies. 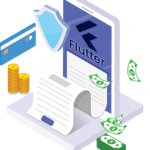 With the aim of understanding the potential of flutter emerging technologies so that developers can explore it skillfully in all the leading projects which indirectly converts us to Happy client result. Using Flutter the apps our developer create for iOS, Mac, Android and Web app that all are spitting image of the brand that it represents with this our developers ensures that all the material design components that are used in apps are highly customizable as per client’s requirements.